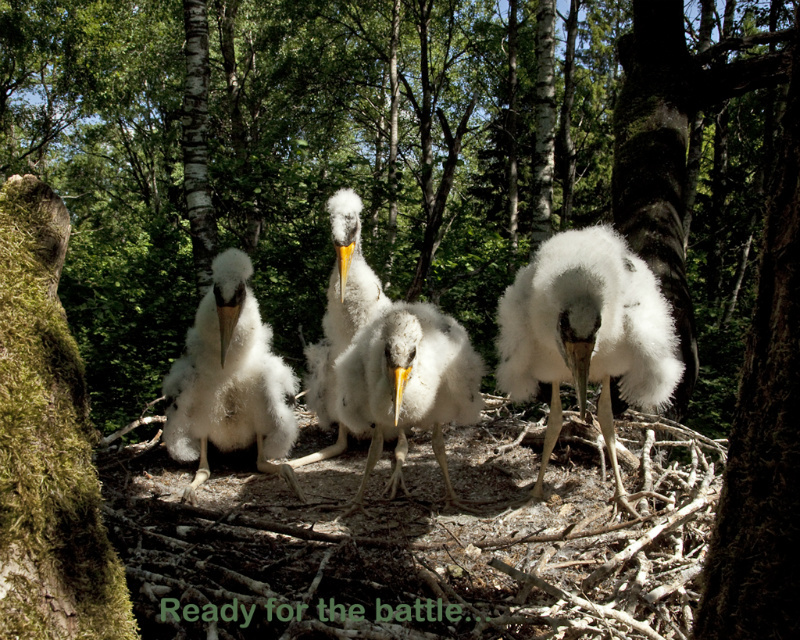 The storklets grow. 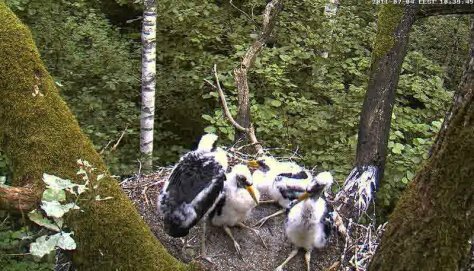 There has been some rain in Läänemaa, and the water level of the rivers isn’t critically low yet, so the adults manage the foraging for four young beaks. 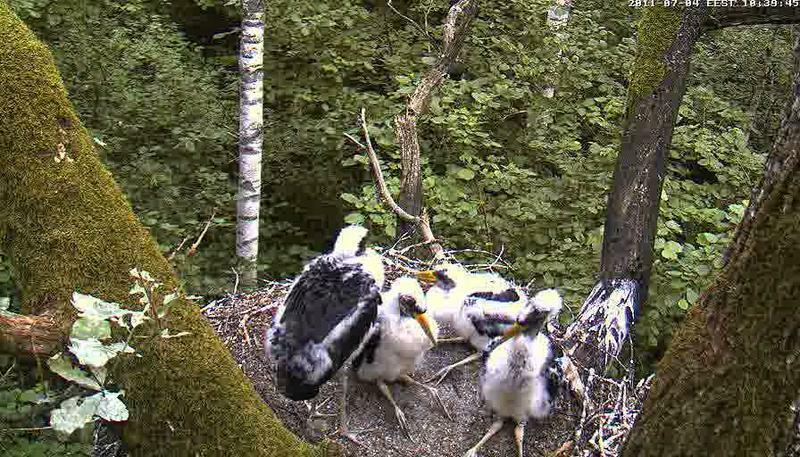 But the storklets are always hungry and food that is brought in disappears within seconds. The basic food of black storks is all kinds of fish and amphibians that are caught in smaller forest rivers and ditches. Less frequently the birds forage in lakes, coastal waters or in meadows. Recent investigations have shown that the male birds can fly up to 25 kilometres from the nest to good foraging areas.